Last night I treated myself to watch “In Time” with Justin Timberlake and that pretty girl with the big eyes from Mama Mia. The Prophet (peace and blessings of Allah be upon him) said: ”Take advantage of five matters before five other matters: your youth before you become old; your health, before you fall sick; your wealth, before you become poor; your free time before you become preoccupied, and your life, before your death.” (Narrated by Ibn Abbas in the Mustadrak of Hakim & Musnad Imam Ahmad. Sahih). As Muslims we believe that when we are in the womb of our mother three things are written on our soul, whether we will die as a Muslim or non-Muslim, what our bounty will be in this life, not the chocolate one but our bounty in terms of material gain .We also believe the time and day we die will be written on our soul. So contrary to this film you cannot buy time or steal time to extend your life , the big boys need to understand this and the little boys need to be aware of this. 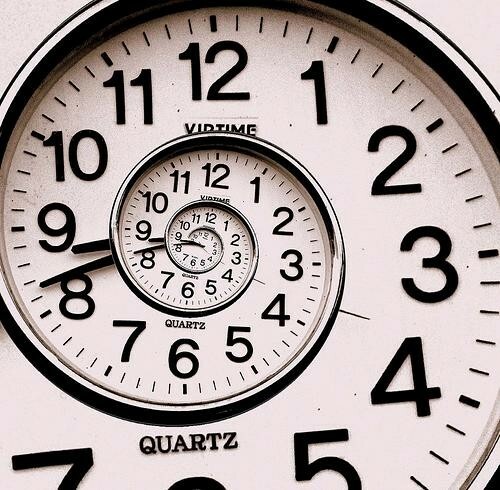 What is within our personal control is the quality of this time and the effectiveness of how we use the time we have. Allah, God is the only one who can give us time and take away time, for example when we were feeding the homeless, people though that Eid would be the next day and even sister told us that shatan has whispered in their ear not to come and help us because there wouldn’t be enough time to get ready for Eid, but come they did , because the moon had not been sighted and who is shatan to say when Eid will be. The joy on our faces when after Asr prayer, mid afternoon, it was revealed that Eid was ntot eh next day as was commonly believed(not known) but would be the following day, praise Allah, we were rewarded in this life and the next, we were given a day. We are conditioned to believe that Convenience is a way of saving time. Convenience is not always good if it uses more energy, its bad for your health, deprives life experience and miseducates. For example I know some people their middle name is convenience, they buy convenience food because they think it saves time. In reality convenience food, you get what you pay for and in most cases they are over prices because the production have to make a profit. in the long run will provide you with ill health and the quality of your life will deteriorate.